Faith lives in the outskirts of Mwanza with her mom and younger brother and sister. After getting ready for the day she makes the decision to take a mini-bus into town. It’s important that she’s not late, if there’s not enough room on the minibus or if needs to get to a meeting she might have to ask a boda boda – the local motorcycle taxi drivers – for a ride; it’s a faster and more direct way to get to work. She doesn’t often take rides with the boda boda ever since her dad had discouraged her after he got into a crash a few years ago on the back of a motorcycle taxi. He tells her to stay away from them, and for the most part she does. Mini buses are the size of a large van and run on a loop. They’re relatively cheap, but can get very cramped in the mornings. The boda boda on the other hand are quick and plentiful in the city, making up at least half of the traffic. Sometimes the driver has an extra helmet for their passengers, but sometimes they don’t. Making the 20 minute trip into town is always an adventure as motorcycles weave in and out on the three lanes of traffic. The left lane is for ongoing traffic, the right is for oncoming traffic, the middle lane is used by both directions to pass. Right of way is more of a suggestion as people rush through intersections and oncoming traffic to avoid stopping behind a bus unloading with passengers. 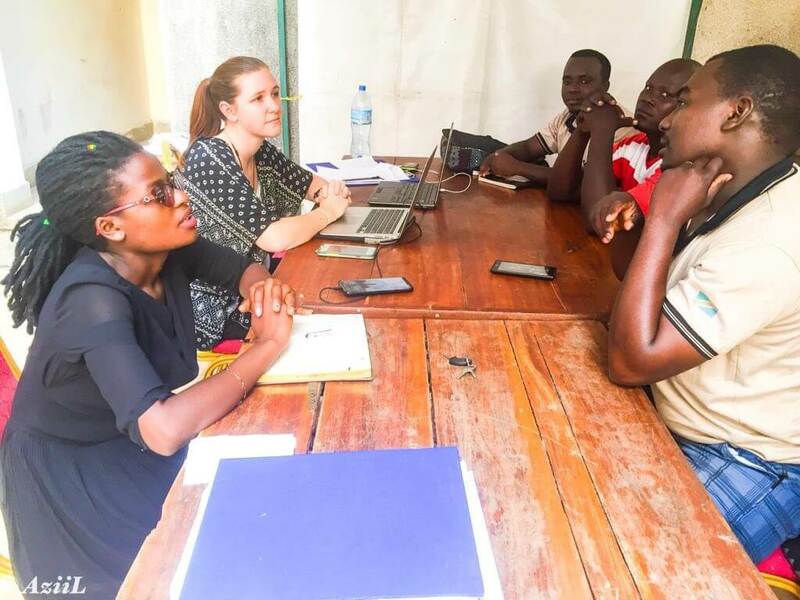 Faith works at the Community Health Building within Bugando Medical Center as the program manager for the Tanzania Rural Health Movement. She has a lot of responsibility for their different programs, like the Prehospital System and Street Children Wound Care Project. She had been working as a volunteer since 2015 when she was still a nursing student at Bugando. She has a passion for working with kids, wanting to help those living on the street in her community. Part of her job with this program is to go change the dressings of street children with aggravated wounds. She remembers one boy who got was struck by a car with a deep abrasion on his leg. After a few months, the young boy let Faith in on a secret, he was secretly a girl. She was 15 years old, but was told she by others living on the street that she needed to change how she looked to survive. She wore baggy clothes and cut her hair short to avoid unwanted attention. Faith works with her and several other children living on the streets dealing with violence associated with homelessness in Mwanza. This is the work Faith is passionate about and keeps her engaged at Tanzania Rural Health Movement. She knows what she is doing is important and that it will have a far-reaching impact in the community she lives in. Lunch at Bugando is served in an outside courtyard. The walk isn’t far from the office, but it takes a while to get there since Faith is stopped by seemingly every third person. They all know who she is. Faith is a very social person and has met a lot of people through her years in Bugando, first as a nursing student then working for Tanzania Rural Health Movement. Even back in the day, Faith knew she always wanted to work with children, when she was a nursing student she planned on working in pediatric anesthesiology. She said her favorite thing about the specialty was its ability to make scared kids more comfortable. She has a soft spot in her heart for those who are hurting. She has future aspirations to finish her nursing training, hopefully abroad somewhere like China, but for now she’s content to making the city she grew up safer. 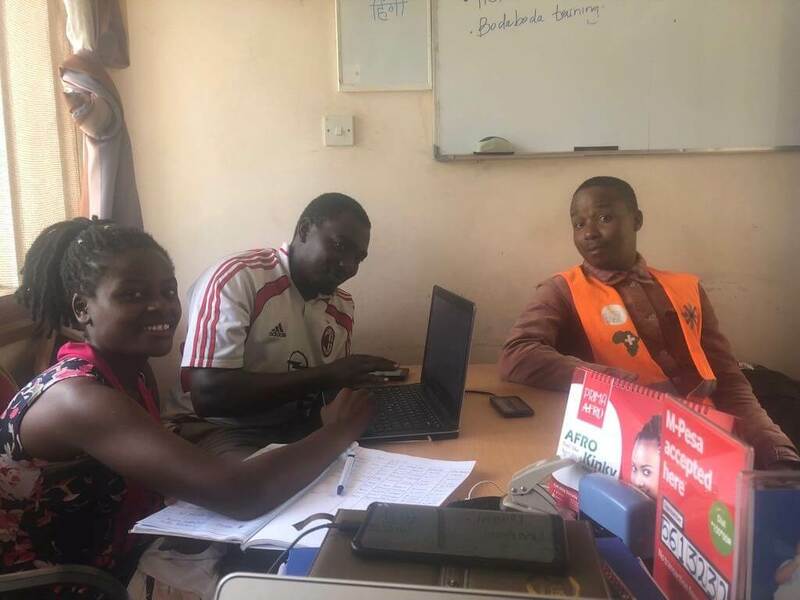 The Prehospital Program at the Tanzania Rural Health Movement is made up of trained boda boda drivers, who are able to respond to car crashes in the city alongside the Mwanza Fire & Rescue Force, and help stabilize them and transport them to a nearby hospital. Faith remembers back in 2015 when she helped train the first class of drivers with basic life saving techniques, like hemorrhage control, splinting, and airway management. She supports them by organizing their medical kits with supplies and takes care of keeping the records of their contributions. Once or twice a month, boda boda drivers come to the office to resupply and get paid for their transport. Faith takes her time to check in with each driver, keeping up with their stories and handling any of their questions or concerns. Working with the boda boda drivers is a highlight for her as she has incredible respect for the work they are doing. She thinks of them as great coworkers, each with their own unique strength. She talks to Phineas, who she describes as an incredibly hard worker, and Setti who is one of her most reliable drivers. She takes her time speaking with Florence who gives very detailed reports of all of his drives, confirming that every step he took during a call was correct. The drivers have a lot of respect for Faith, something she’s earned from them over the years of working together. She puts in the work every day and the drivers appreciate everything she does for them. At the end of her day at the office, Faith is still not done. She takes a minibus over to her print shop she owns to check in on the store manager and finish any designs that have been ordered that week. Print shops are common in Mwanza as most people don’t have access to a personal printer. She started working there in college, when her mother was the owner. Last year, Faith took it over so her mother could focus on another business venture. She likes the print shop business, Faith is a creative type and enjoys doing the design work for customers who come in looking for logos or personalized T-shirts. She hopes to be able to design the next logo for Tanzania Rural Health Movement if they ever need it. Even when Faith takes the trip back home, she doesn’t consider herself off the clock. If she gets an alert from Beacon about an emergency incident near her house, she’ll go out to meet the fire department or the boda boda drivers responding. She’s been woken up before by calls from drivers asking her for recommendations for the people they are transporting. She tells them what she knows, and always follows up with the drivers. Faith’s life is defined by how much she cares and how much she gives.